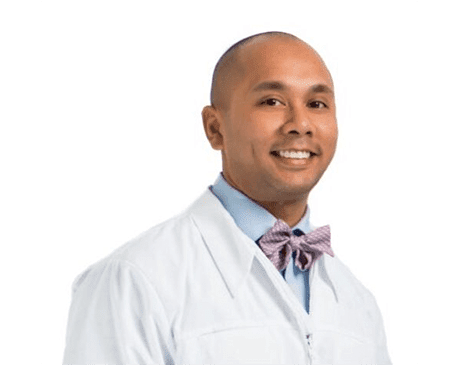 Patrick Ng-A-Fook, DDS, or Dr. Pat as his patients call him is dentist and endodontist at PDADental in the Financial District, Lower Manhattan, New York. As an endodontist, Dr. Pat specializes in treatments such as root canals, which save natural teeth. He began his education to become a dentist as an undergraduate student at State University of New York at Stony Brook, where he earned a bachelor’s degree in economics, with a minor in business. Dr. Pat then received his doctorate in dental surgery from Virginia Commonwealth University School of Dentistry in Richmond. His postdoctoral training includes an Advanced Education in General Dentistry residency at NYU Langone Hospital in Brooklyn, New York, where he later completed a certificate program in endodontics. Dr. Pat is an active member of the American Dental Association, the New York State Dental Association, and the American Association of Endodontists. When he isn’t practicing dentistry, Dr. Pat enjoys spending time with his family and traveling.